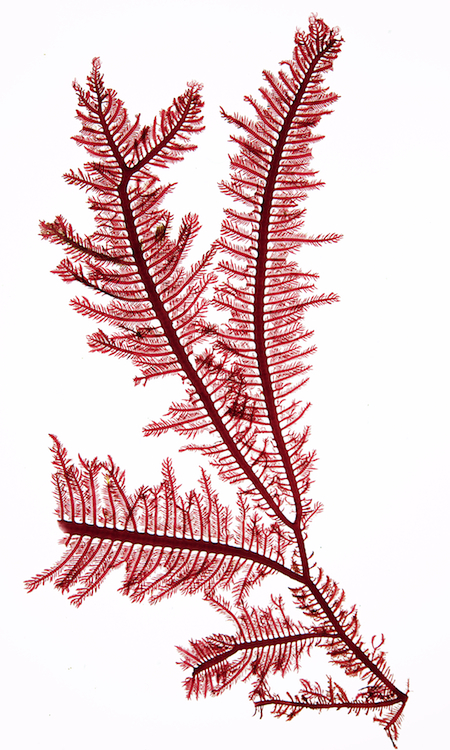 Previously known as as Ptilota plumosa. 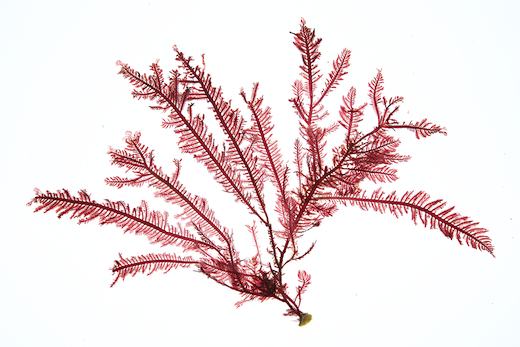 Description: Cartilaginous, compressed, crimson to dark red fronds, tufted, to 300 mm long. Monosiphonous axis flanked by small cortical cells. Branching irregular, secondary branching distichous, bi-tripinnate, ultimate ramuli short, pointed, opposite. Habitat: Epiphytic on Laminaria hyperborea stipes, exposed shores, subtidal, Scotland, N England, N and NW Ireland, abundant in north. Specimens from Bundoran, Co. Donegal, Sept. 2014; leg. Svenja Heesch. Site © M.D. Guiry 2000 - 2019. Important copyright notice: all text, design and photographs on this site are copyrighted by M.D. Guiry unless otherwise stated and all rights are strictly reserved. Click here for copyright information and contact. Website design: 249 Design Studio. Site maintained by M.D. Guiry (michael.guiry@nuigalway.ie). There have been 8736711 page loads since 1 January 2014 on 25 April 2019.